The Gothic Revival style is part of the mid-19th century picturesque and romantic movement in architecture, reflecting the public's taste for buildings inspired by medieval design. This was a real departure from the previously popular styles that drew inspiration from the classical forms of ancient Greece and Rome. 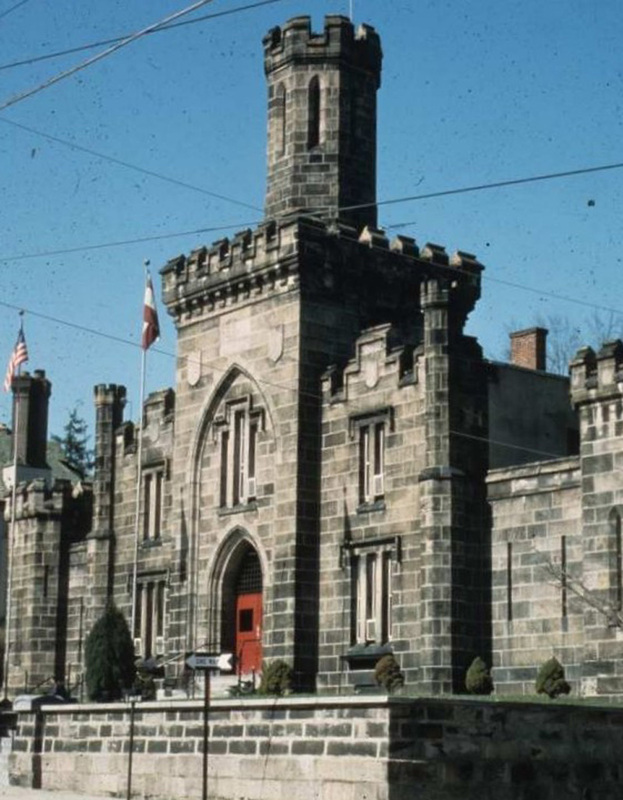 While distinctly different, both the Gothic Revival style and the Greek Revival style looked to the past, and both remained popular throughout the mid 19th century. 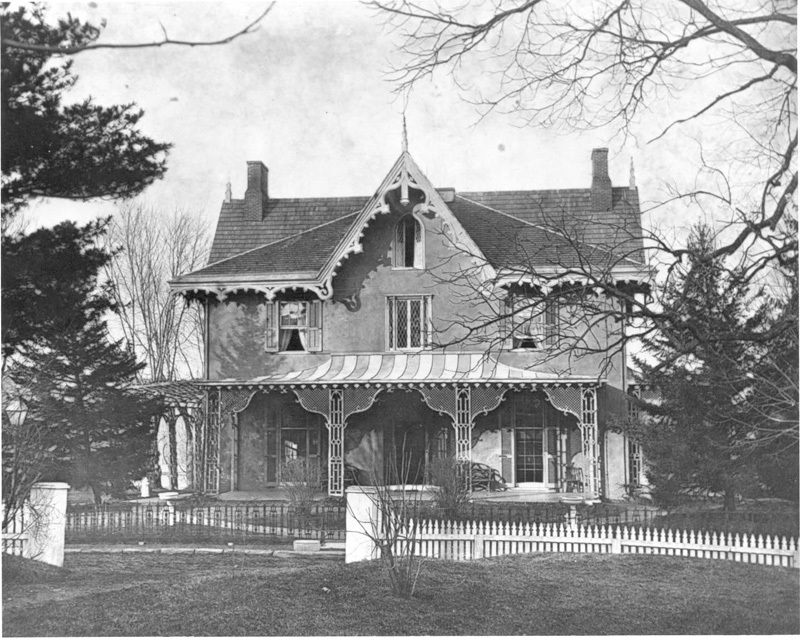 The Gothic Revival style in America was advanced by architects Alexander Jackson Davis and especially Andrew Jackson Downing, authors of influential house plan books, Rural Residences (1837), Cottage Residences (1842), and The Architecture of Country Houses (1850). This style was promoted as an appropriate design for rural settings, with its complex and irregular shapes and forms fitting well into the natural landscape. 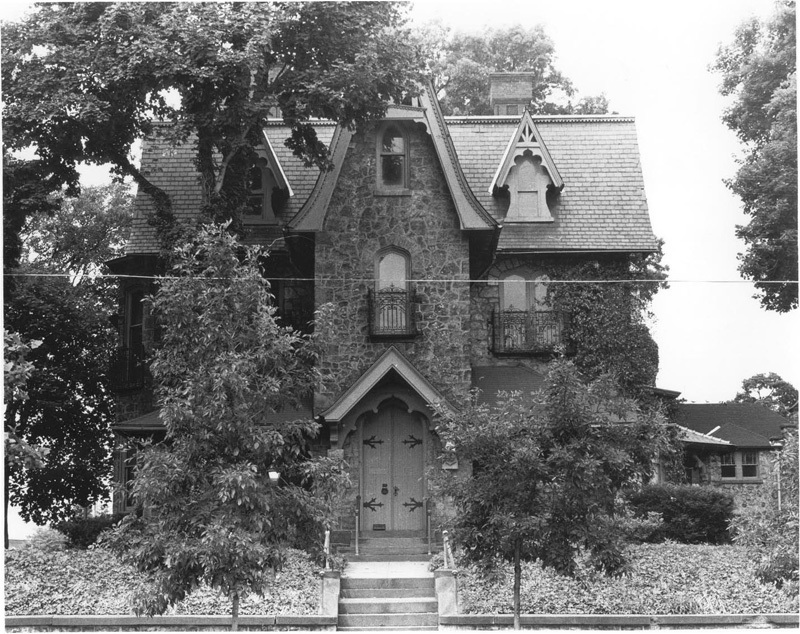 Thus, the Gothic Revival style was often chosen for country homes and houses in rural or small town settings. 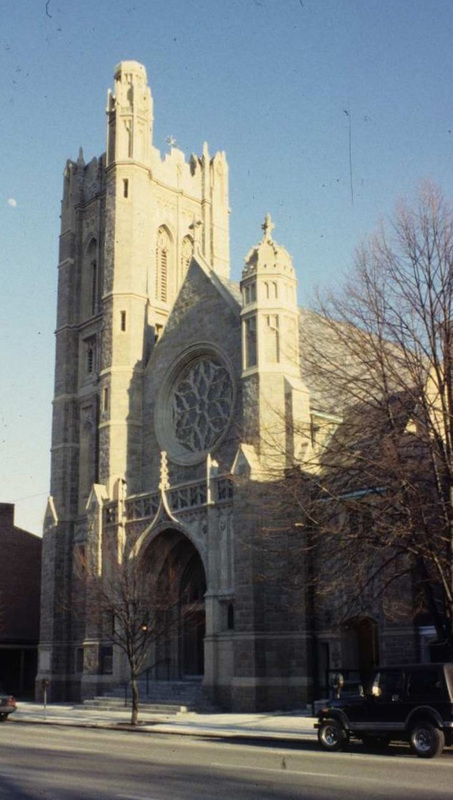 The Gothic Revival style was also popular for churches, where high style elements such as castle-like towers, parapets, and tracery windows were common, as well as the pointed Gothic arched windows and entries. 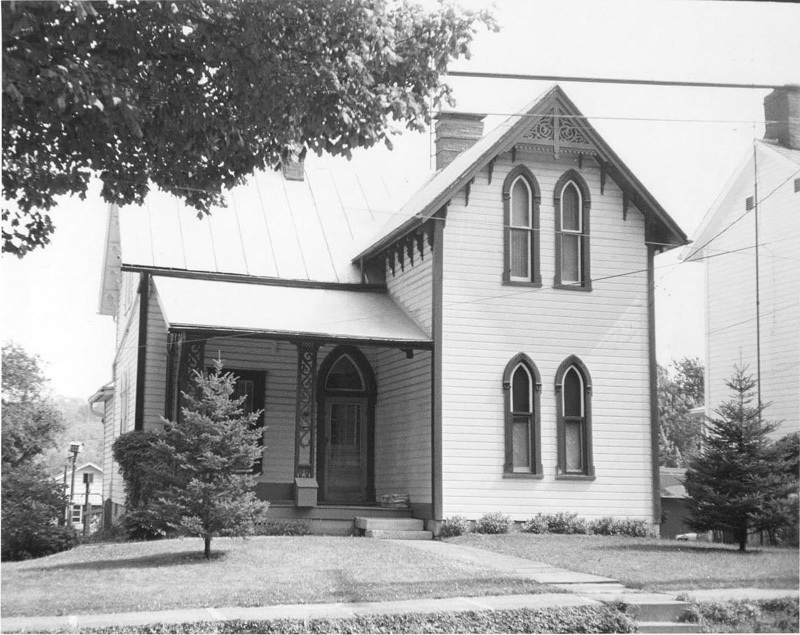 The Carpenter Gothic style is a distinctive variation of the Gothic Revival style featuring vertical board and batten wooden siding, pointed arches and incised wooden trim. The name comes from the extensive use of decorative wood elements on the exterior. 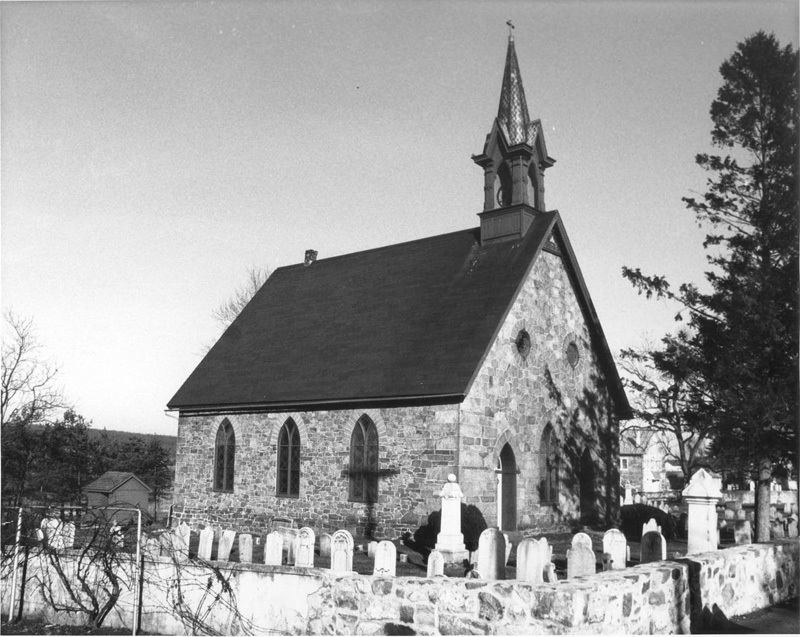 While some examples remain, the pure Carpenter Gothic style is not well represented in Pennsylvania. The most commonly identifiable feature of the Gothic Revival style is the pointed arch, used for windows, doors, and decorative elements like porches, dormers, or roof gables. Other characteristic details include steeply pitched roofs and front facing gables with delicate wooden trim called vergeboards or bargeboards. This distinctive incised wooden trim is often referred to as "gingerbread" and is the feature most associated with this style. Gothic Revival style buildings often have porches with decorative turned posts or slender columns, with flattened arches or side brackets connecting the posts. 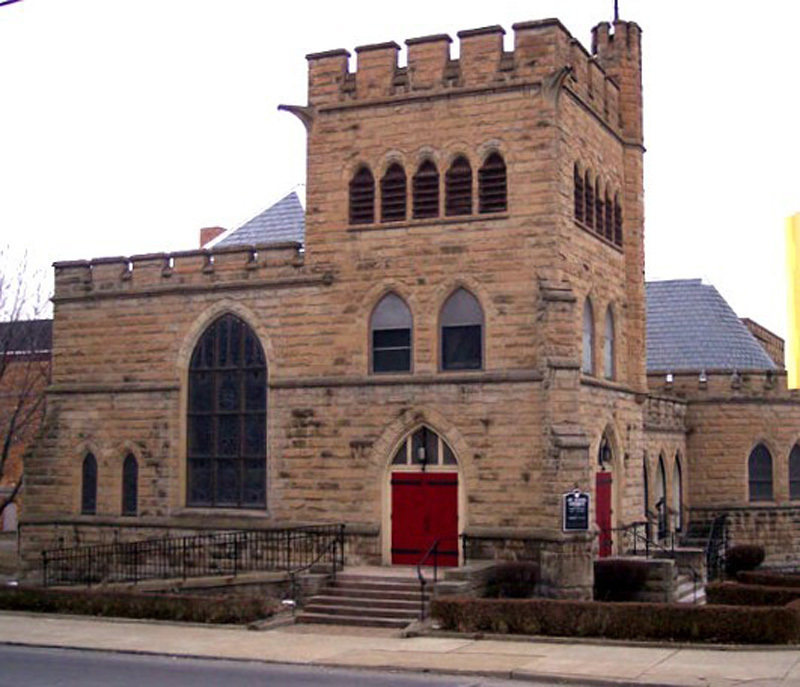 Gothic Revival style churches may have not just pointed arch windows and porticos, but often feature a Norman castle-like tower with a crenellated parapet or a high spire. 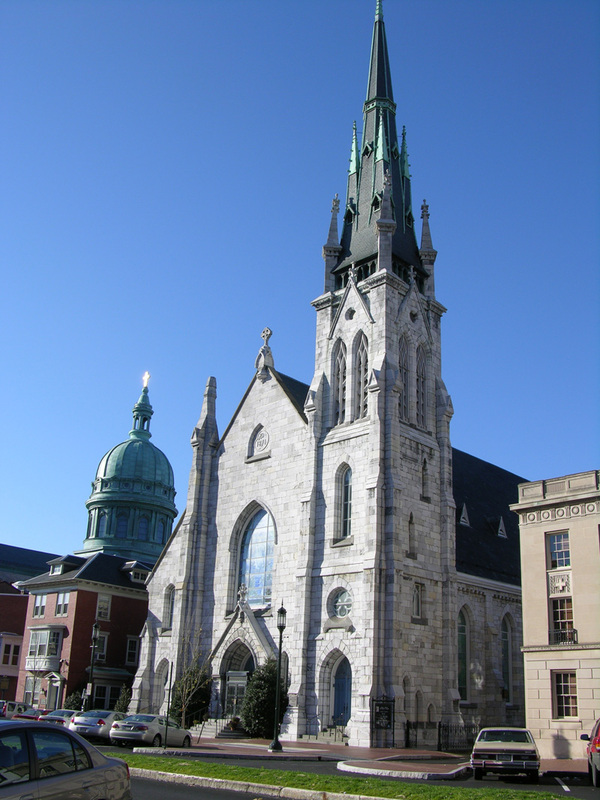 Many examples of Gothic Revival buildings of both high style and more vernacular character can be found across the state. The high style buildings, mansions, churches, prisons and schools sometimes offer ornate architectural details. The more common vernacular buildings may have only a few Gothic details, usually pointed arch windows and a front facing gable with wooden trim. Gothic Revival details may also be found in urban settings on rowhouses or duplexes. Later in the 19th century, Gothic Revival details were mixed with elements of other Victorian era styles to become a style known as the Victorian Gothic. In the early 20th century, a distinct variation of the Gothic Revival style, known as the Collegiate Gothic style, developed primarily for educational buildings. These derivative forms of the Gothic Revival style are more fully discussed elsewhere in this field guide.